Add a little Romance to your Stay! Perfect for any special occasion, this package includes a bouquet of flowers, a bottle of local New Mexican Champagne, delicious freshly made chocolate covered strawberries, and a personalized card. $95.00 plus sales tax plus price of your room. To add this package to your room, click on the Add an Amenity tab once you've selected your room. Indulge yourself in romance AND relaxation. Sip local Champagne and nibble on chocolate-covered strawberries while you indulge in a one-hour couples massage in the comfort of your suite. 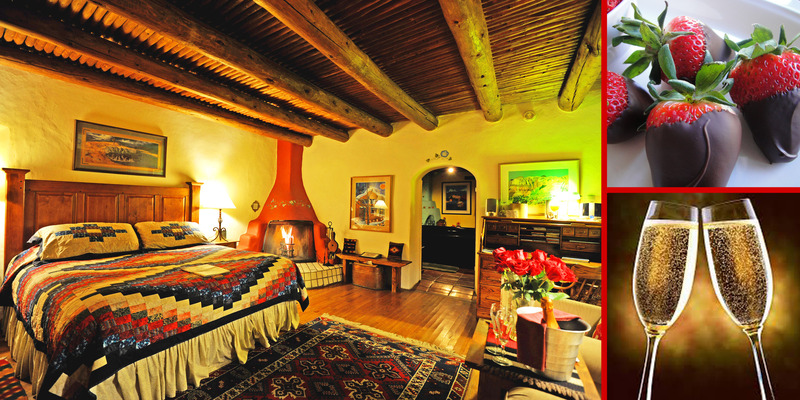 This intimate package is available only in the Los Amantes Suite, Mabel's Salon, Southwest Villa, Cowboy Room, and Cowgirl Room. $295.00 plus price of room. To add this package to your room, click on the Add an Amenity tab once you've selected your room. Note: tipping your therapist is at your discretion. Looking for the perfect birthday surprise for your special someone? Our Birthday Package includes a small birthday cake, a festive balloon bouquet, and personalized Birthday card. $95.00 plus the price of your room. To add this package to your room, click on the Add an Amenity tab once you've selected your room. Now that you have picked out one of our intimate guest suites, treat yourself or loved one to a custom 1-hour massage in the comfort and privacy of your room. In-room massage for one person is available in all of our rooms except La Sala del Sol. $125.00 plus sales tax. To add this package to your room, click on the Add an Amenity tab once you've selected your room. Now that you have picked out one of our intimate guest suites, treat yourself or loved one to a custom 1-hour massage in the comfort and privacy of your room. The In-room Couples massage is available only in our Los Amantes Suite, Southwest Villa, Mabel's Salon, Cowboy and Cowgirl rooms. $245.00 plus sales tax. To add this package to your room, click on the Add an Amenity tab once you've selected your room. We've made room for romance. Thick adobe walls, viga and latilla ceilings, arched pueblo-style doorways and large quiet rooms reflect the Southwestern charm that abounds throughout Hacienda del Sol. 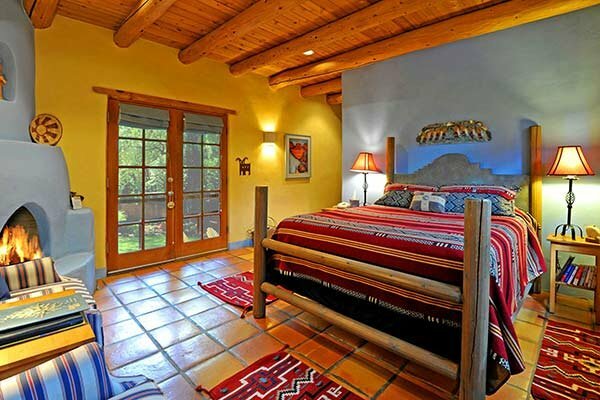 Each guest room has its own distinct character: original art, antique hand-crafted furniture, old trunks, retablos, hand-woven baskets, specially woven rugs, handcrafted southwest quilts by local artist and great-to-snuggle-under down comforters. Included with your stay is a hearty home cooked gourmet breakfast! 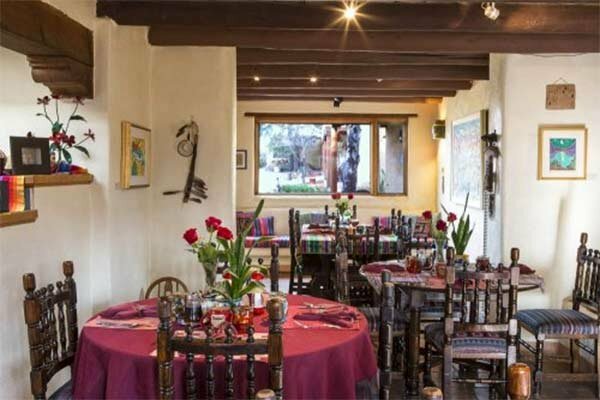 Join us in our Southwest styled dining room to enjoy a full breakfast made just for you! We have different options every morning served with a fruit starter, fresh brewed coffee, assorted teas with fresh orange juice.